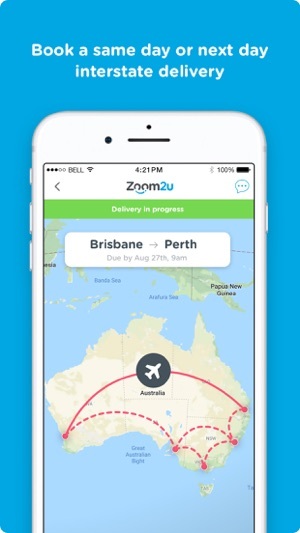 Zoom2u enables you to connect to friendly on-demand couriers all across Australia and get your parcel delivered with a reliable and transparent system, eliminating the strain that comes along traditional courier delivery. Simply place a booking, see all the readily available couriers near you and have your parcel delivered in under 3 hours; no long lines, no tedious forms to sign. Live track your parcel as it makes its way to its destination in real time, have instantaneous access to your couriers’ contact information and get notified that your parcel has been delivered safely and securely with a picture and a signature - all accessible on your screen. Send out boxes, documents, flowers, furniture and much more within minutes. Whether it needs to be there in under 3 hours, in the evening, over the weekend or the very next day, you can now have it all done in a click of a button. 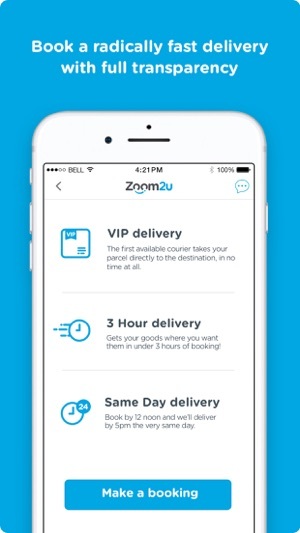 Speed and flexibility: VIP, 3 hour, same day, or next day delivery for any item to any destination in a click of a button. 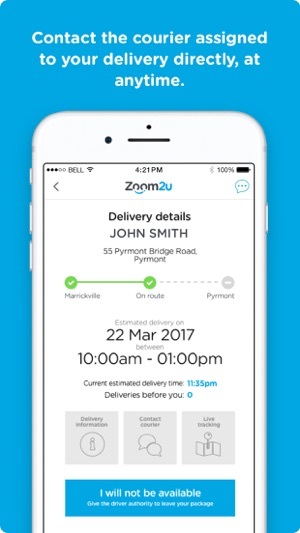 Interstate deliveries: Our app gives you the ability to send parcels to all major Australian metro areas. Ship in all sizes: We support sending items of any size, large or small. 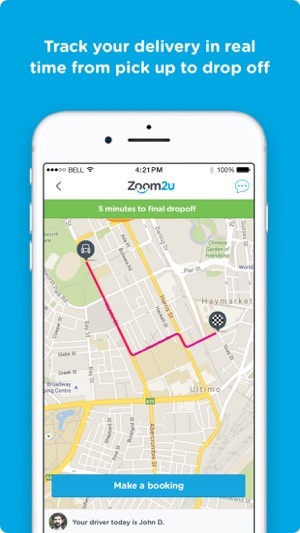 Pay in-app: No need to exchange card details with your courier upon pick up or drop off. Instant feedback system: Rate every job and courier with a thumbs up or down. Extended Customer Support: Customer service team is always on standby for easy and seamless deliveries. Integrate our courier platform to your ecommerce website to provide your customers seamless delivery experiences, with your logo and colours in all screens. 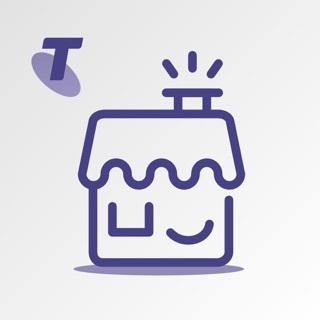 Offer your customers complete transparency with their purchases through our live-tracking technology and have them feel at ease with the couriers' contact information sent right away to their device. Fixed issue with session timeout while using the app. I had a new pair of glasses I needed delivered to my office one morning and these guys made it happen with no fuss. Within an hour a courier picked up from SpecSavers and had them at my desk in time for a meeting, and I could track them the entire way. Great tool.